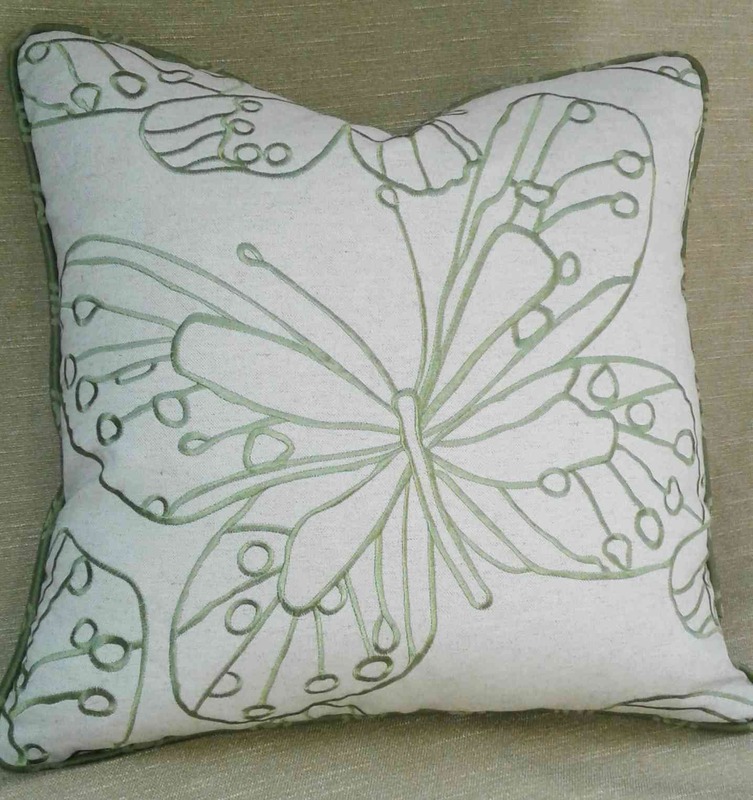 These pillows are a natural linen weave with Bright green embroidered butterflies. 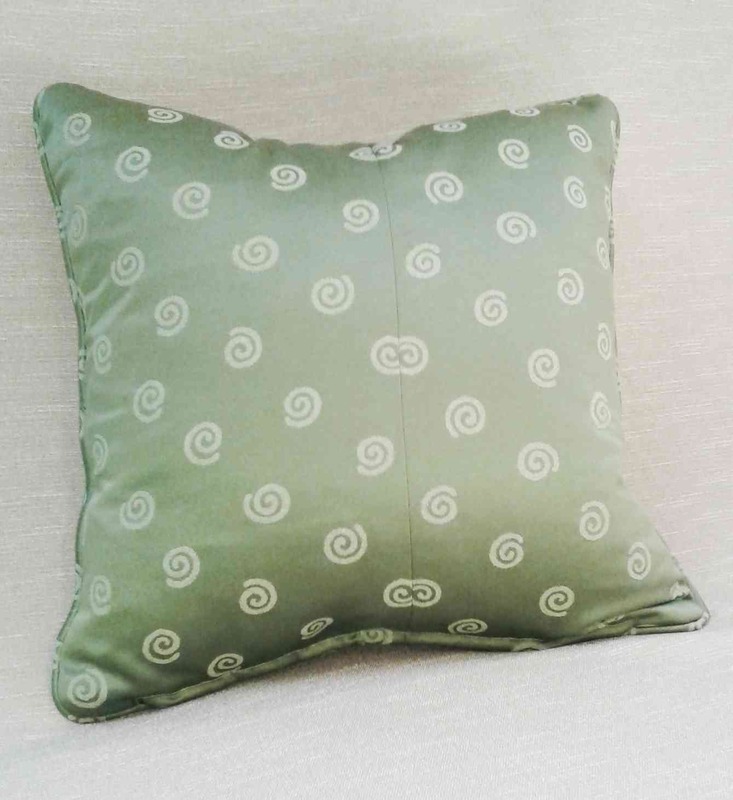 Two of these pillows are embroidered butterflies on both sides of the pillows and two are backed with this polyester Susan Sargent Cartwheel motif. The inserts are 95/5 feather/Down. 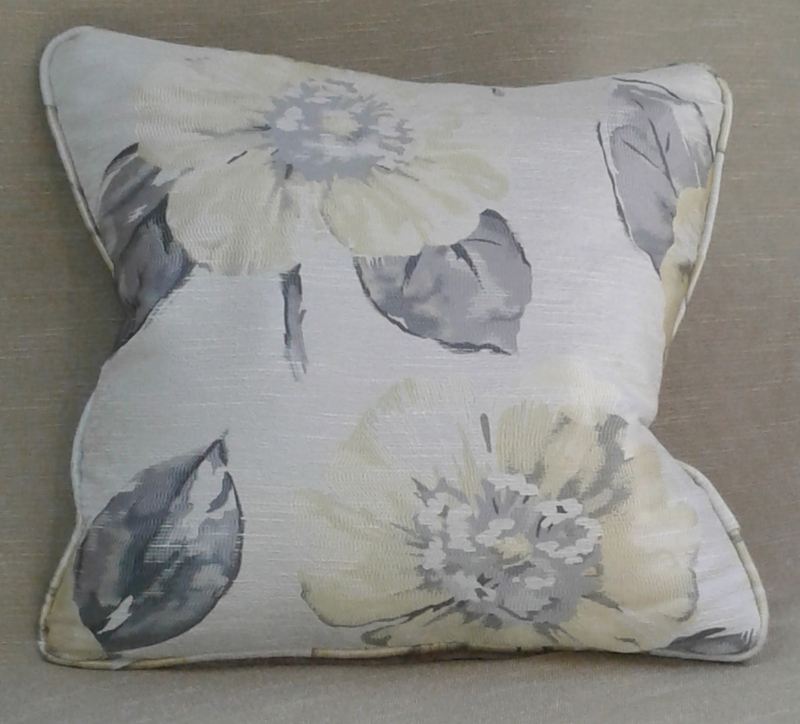 These pillows are a texture polyester dupioni with beautiful yellow Flowers and Taupe leaves. 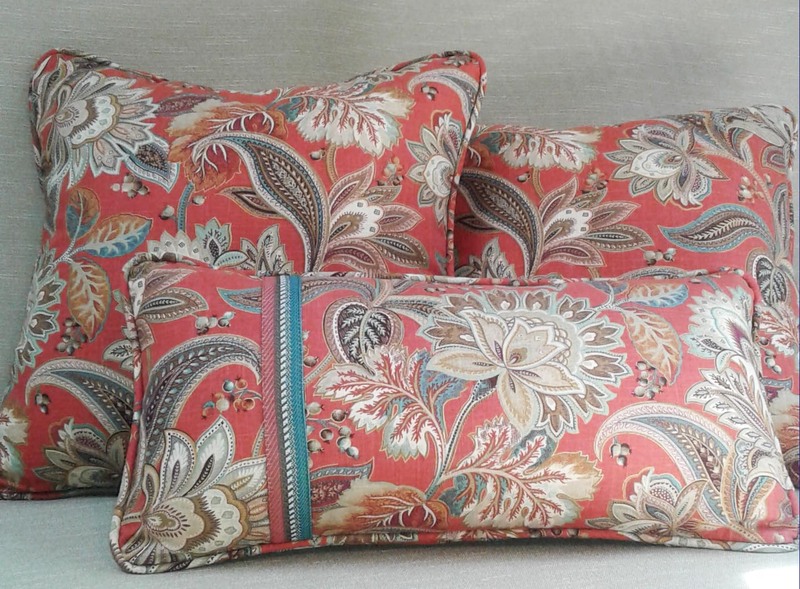 Two of these pillows are Flower pattern on both sides of the pillows and two are backed with a luxurious velvet. The inserts are 95/5 feather/Down. 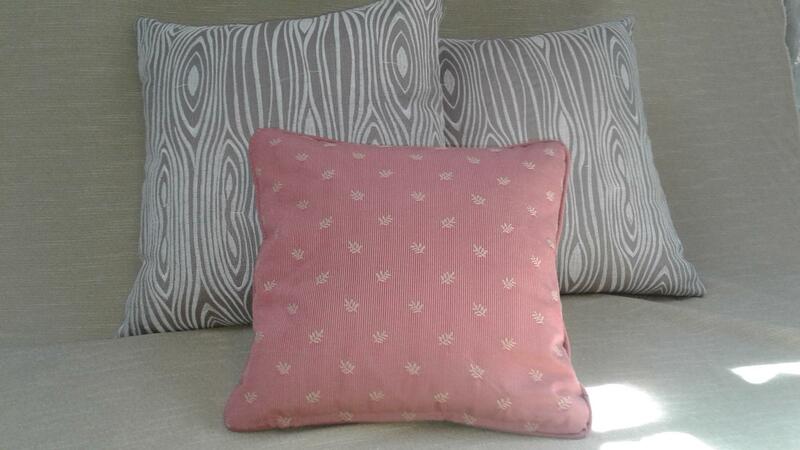 I have two 20"x20" polyfill pillows and one 12"x24" in this beautiful printed linen /cotton fabric. Beautiful pattern with a spice red background and motif has teal, brown, rust, golds, and natural colors. 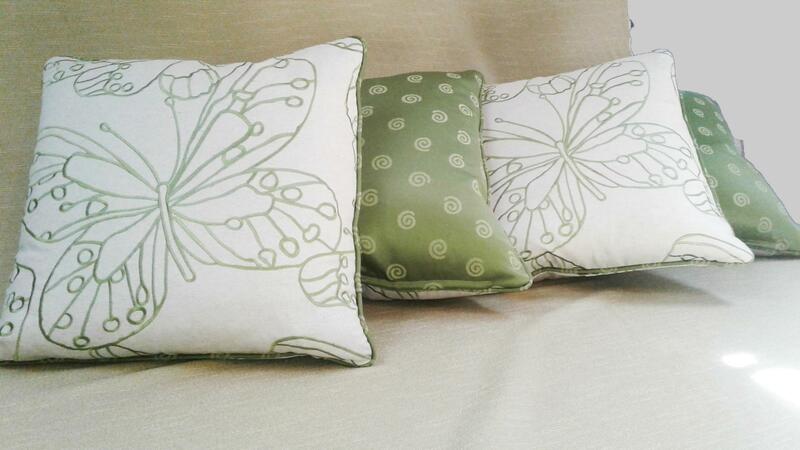 20"x20" Pillows 20.00 each and free rectangle pillow with purchase of the two 20" pillows. 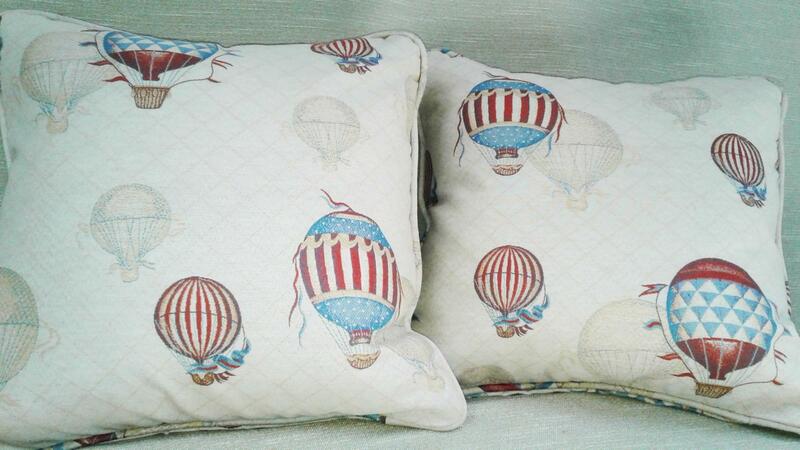 I have two 18"x18" down pillows in this unique balloon upholstery fabric. Neutral backgound with blues, reds and gold in the balloons. 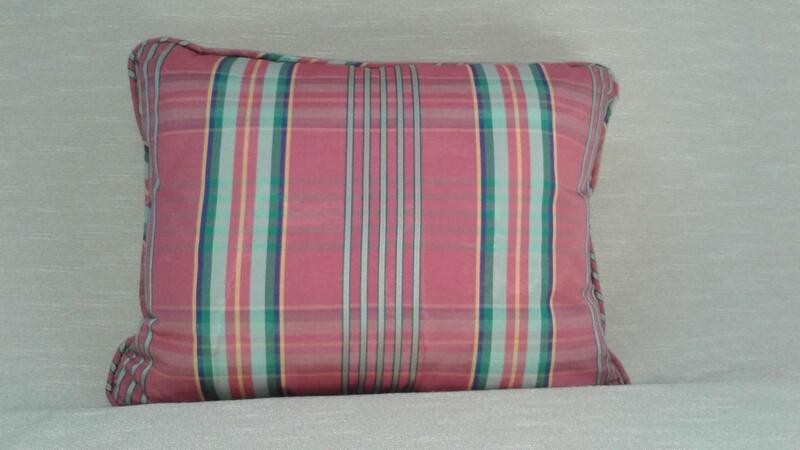 I have one 16"x20" polyfill pillows in a striking combination of red, green gold and blue plaid. This pillow will brighten any space.